With Australia being one of the hottest countries, air conditioners can be found in almost every home. It’s soon obvious to anyone who purchases an air conditioner that the most significant outlay is the running costs. However, there’s a way to mitigate these costs: by investing in solar air conditioning. 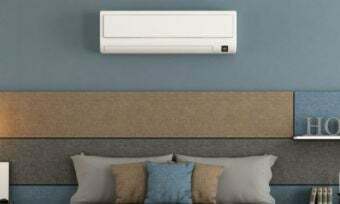 In this article, we explain how solar air conditioners work, what types are currently available, and ask the big question: are they cheaper to run than conventional models? Read on to find out. How do solar air conditioners work? A solar air conditioning system is simply a system of cooling and heating that utilises solar power, rather than electricity from the mains. While they can have a significant upfront installation cost, solar air conditioners are much cheaper to own and operate in the long term, as they utilise virtually unlimited energy provided by our sun. 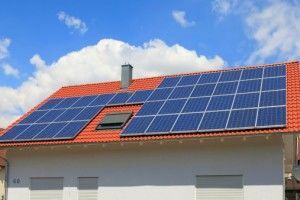 Solar energy is a great way to decrease both your electricity bill and your carbon footprint, so what are some different ways to incorporate it into your home? Conventional solar powered cooling systems: which comprise the majority of installed systems. ‘Open loop’ cooling systems (known as desiccant cooling): this type of cooling is newer and less common, but can be more cost and energy efficient. We’ll explain each type below. Conventional solar air conditioners utilise a standard vapour compression refrigeration cycle to cool or heat the building in question. The essential principle is that heat in the building is transferred to a refrigerant gas, which is then circulated out to a condenser where the excess heat is dumped. The now cool refrigerant then circulates back into the building to repeat the cycle. A conventional solar AC system draws operational power from a solar array rather than the electricity grid, in an effort to increase efficiency and lower costs. When cooling is required, the water is used to heat up air, which is in turn used to dry out a cylinder that extracts the excess moisture from air flowing into a parallel chamber. This dried air is then pumped through a cooler and is then circulated around the house. The hot air used for drying is then exhausted outside the building in this cooling process. When heating is required, the hot air is instead used to directly warm the house. Is solar air conditioning cheaper to run? Both systems require some electricity from the grid in order to operate: the solar refrigeration cycle uses it to power the compression and circulation of the refrigerant gas, and the open loop cooler uses it to power the cooler for the incoming air. Naturally, you’re drawing less power from the electricity grid, and will therefore use less electricity when you utilise solar air conditioners – provided the unit you invest in isn’t particularly energy inefficient. Consider both the published energy rating and our air conditioner customer satisfaction ratings before choosing a model to take home. Out of the two aforementioned types of solar air conditioning, the running costs for open loop cooling are by and large far less than standard systems, as only a small amount of electricity is required to run the evaporative cooling system compared to the constant compression and expansion of refrigerant in a normal cooling cycle. These systems are still largely in their infancy, but within several years we can look forward to much cheaper and more efficient home air conditioning systems. In any case, installing solar panels to utilise solar energy is a great way to decrease your power bills and save money.